YOU SAID NO TO HATE. YOU SAID NO TO FEAR.You said no to a world without human rights. 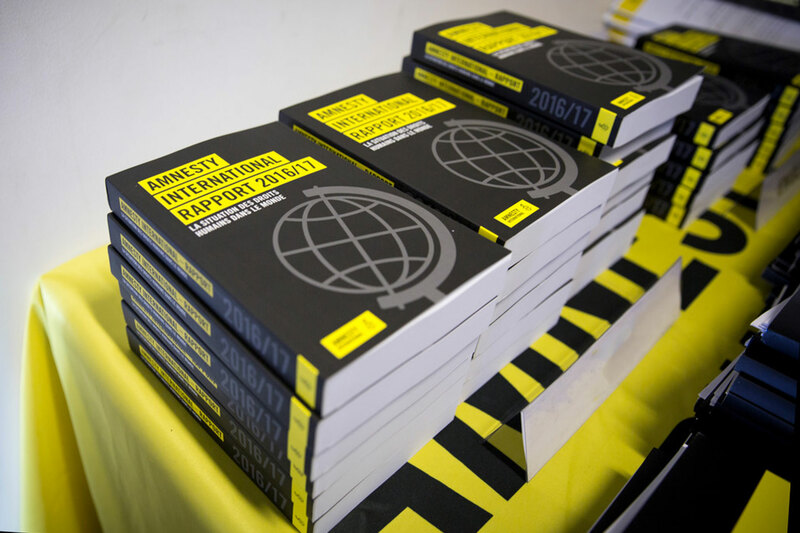 People across the world faced a growing intolerance of dissent and a rise in politics of hate and fear, warned Amnesty International as it launched its annual assessment of human rights last week. The report, The State of the World’s Human Rights, covers 159 countries, including South Africa, and delivers the most comprehensive analysis of the state of human rights in the world today. “In 2017 to 2018, profound inequalities continued to undermine economic, social and cultural rights in South Africa, resulting in widespread unemployment and protests against inadequate service delivery. “We further witnessed excessive force used by the police, and the space for journalists exposing corruption being increasingly restricted, with incidents of intimidation rising worryingly,” said Shenilla Mohamed, Executive Director of Amnesty International South Africa. Profound inequalities continued to undermine economic, social and cultural rights (ESCR) for millions of South Africans. “With unemployment at 27%, and service delivery challenges continuing, ignoring ESCR can have dire consequences,” said Shenilla Mohamed. Despite a legally binding commitment to build 5 500 new houses, Lonmin Plc, a UK-based platinum mining giant, allowed its workforce to live in squalor in Marikana. This was a contributing factor to the events that led to police using unjustified lethal force against miners, resulting in 34 deaths on 16 August 2012. The victims and their families are still awaiting justice, and houses, from the government and Lonmin Plc almost 6 years later. The right to freedom of expression became a key battleground for human rights globally in 2017, and South Africa is no different. On 7 July, the South Gauteng High Court granted the South African National Editors’ Forum (SANEF) and 11 journalists an interdict to prevent Black First Land First (BLF), a political party, and Andile Mngxitama, its leader, from intimidating or assaulting journalists and going to their homes. This came after journalists covering allegations of corruption involving Jacob Zuma and the Gupta family reported threats and harassment. On 17 July, Micah Reddy, a journalist at the amaBhungane Centre for Investigative Journalism, said that he was harassed by a group of BLF supporters and members, following his participation in a panel discussion on allegations of corruption involving President Zuma and the Indian-born Gupta family. On 27 July, amaBhungane organised a public event in Johannesburg to discuss the alleged corruption by the political elite. The meeting was disrupted by BLF members and a group of about 20 people believed to be from the MK Inkululeko Foundation, a veterans’ association. On 11 August, the South Gauteng High Court found the BLF, and Andile Mngxitama, were in contempt of the 7 July court order, following an application by journalists Sam Sole and Ferial Haffajee as well as SANEF. The court also ordered the interdict to be extended to all journalists and is still in place. The Independent Police Investigative Directorate (IPID) reported an increase in the abuse of power by the police, including 394 deaths as a result of police action and 302 deaths in police custody in 2016-2017, both figures higher than in 2015-2016, which were 366 and 216 respectively. On 17 April, journalist Godknows Nare was shot in the back by police in as he exited his car with his arms raised in Florida, Johannesburg. IPID investigated and handed the case to the Director of Public Prosecutions, Shaun Abrahams. Three police officers were arrested for the killing on 25 January 2018. On 27 May, Samuel Mabunda, a migrant from Mozambique, died as a result of injuries following beatings by the ‘Red Ants’, a private security firm hired by the police to carry out evictions in Ivory Park, Johannesburg. An IPID investigation into the incident was ongoing at the end of the year. On 12 September, 14-year-old Ona Dubula was shot in his face and ribs at close range with rubber bullets by police officers at an informal settlement in Hout Bay, Western Cape, during protests over fishing licences. The injuries have left him with speaking difficulties. An IPID investigation into the incident was ongoing at the end of the year. “With its new leadership, South Africa has the opportunity to refocus on its obligations under international law and human rights standards as well as its own Constitution, and ensure that all past human rights violations are investigated thoroughly, transparently and decisively. And that victims such as Godknows, Samuel, Ona and the Marikana miners and their widows receive the justice they deserve,” says Shenilla Mohamed. Amnesty International has documented the human rights situation in 2017/18 in 159 countries.